Set against this midwinter backdrop amidst the remoteness of Alaska, the episode features three tales that could all be characterised as A-stories on fairly equal footing, the series having blossomed into a truly ensemble-led show by this, its fifth season. 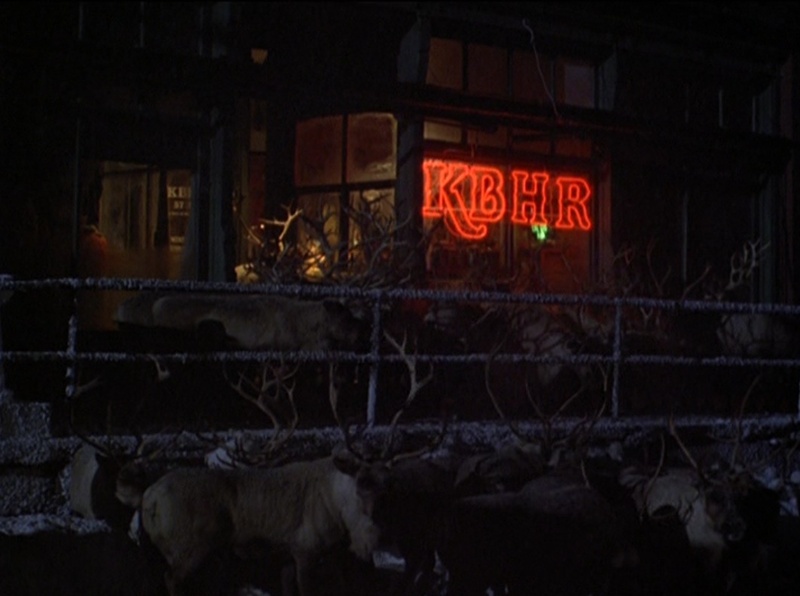 The thread that concerns us centres around hardened trapper Walt Kupfer (Moultrie Patten), a recurring character by this stage in the series, and his struggles with Seasonal Affective Disorder (SAD). SAD is a very real condition affecting people who live in parts of the world with varying levels of daylight and contrasts in climate, comprising a form of depression indicated (usually, but not exclusively) by reduced exposure to sunlight during the winter. I should note that the causes of SAD are not, however, well understood or clearly established. Nevertheless, whilst we may like to think of ourselves as immune to such effects from our environment they are many and manifest, and can be quite profound. Bright light therapy is in fact one of the accepted treatment options for SAD, although some such options come with warnings of an increased risk of skin cancer. (A classic instalment, the aforementioned “Northern Lights”, sees local bar The Brick serve up chocolate with everything on the menu as an alternative way of elevating its customers’ moods.) What Jeff Melvoin—a seasoned writer on the series who contributed some of its very best episodes, and also served as a producer for much of its run—achieves so effectively early in the script is to normalise the condition of SAD, setting Walt apart as a laggard in terms of adopting any means of managing the condition. 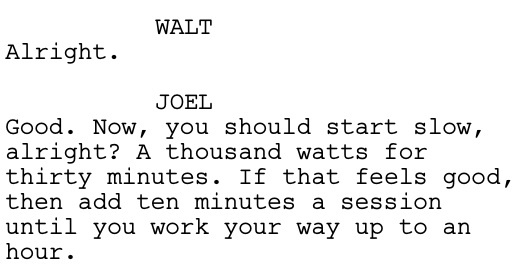 Joel’s careful prescription turns out, however, to complicate Walt’s predicament. He takes to the visor a little too well, and over-indulges in its usage. 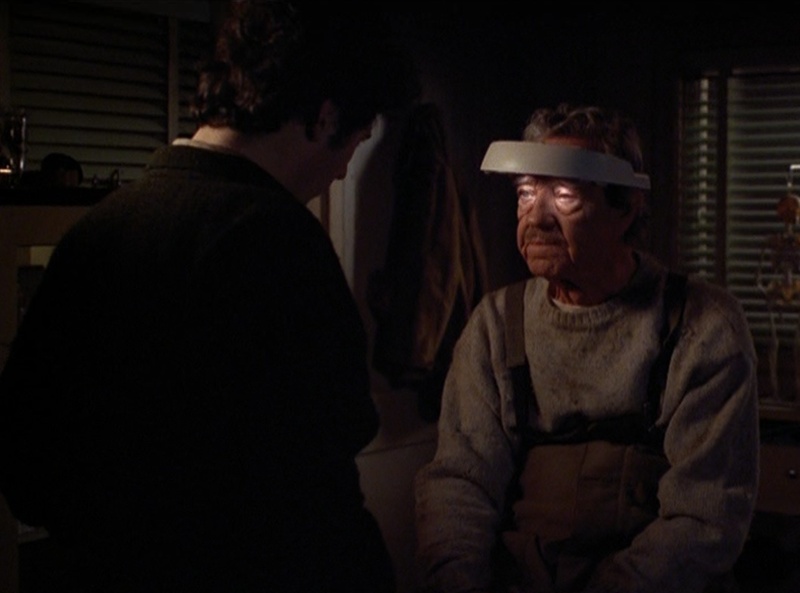 He ignores Marilyn Whirlwind‘s (Elaine Miles) warnings when he returns to the surgery to seek a replacement bulb, and goes on to cause an accident whilst driving with the visor on. Buoyed by his increased level of mental agility (he even manages to confounds the erudite Chris in a conversation in The Brick, and quotes Shakespeare without a moment’s pause) and renewed physical vigour, he uses the visor virtually non-stop. 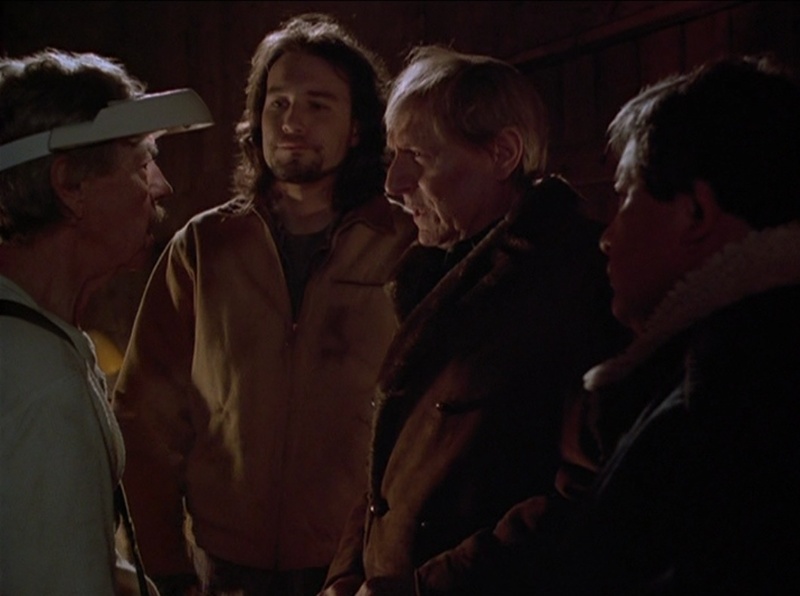 The script can’t resist adding a touch of Northern Exposure‘s trademark, off-the-wall humour to this exchange, yet there is an element of authenticity to Chris’ story. His comparison between Walt’s behaviour and hypomania is not totally without foundation, given the links between such mania and bipolar disorder, and given that a “seasonal pattern” is sometimes given as a specifier to a diagnosis of bipolar. And this extends, too, to seemingly throwaway details, as Romilar has a proven track record as being prone to abuse as a recreational drug. Additionally, it turns out that Walt has a track record for addictive behaviour. After an intervention that is somewhat less dramatic than the one Chris recalls with Holling, Walt admits that he had to give up a high-profile job on Wall Street as he became addicted to the thrill of the environment. The story does not delve further into Walt’s addictive nature but this trait, as well as the fact that Walt is likely to be more prone to suffering from SAD given he is not native to an area of such extreme variations in climate, adds to the episode’s sense of authenticity. Those of us living in the northern hemisphere at this time of year would do well to remain mindful of the potential impact of the seasons upon our mood. Christmas can be a joyous time for some as we light up the darkness, feast, and spend time with loved ones, but equally can be a lonely time for others, and a stressful occasion that can compound existing mental health conditions such as depression. 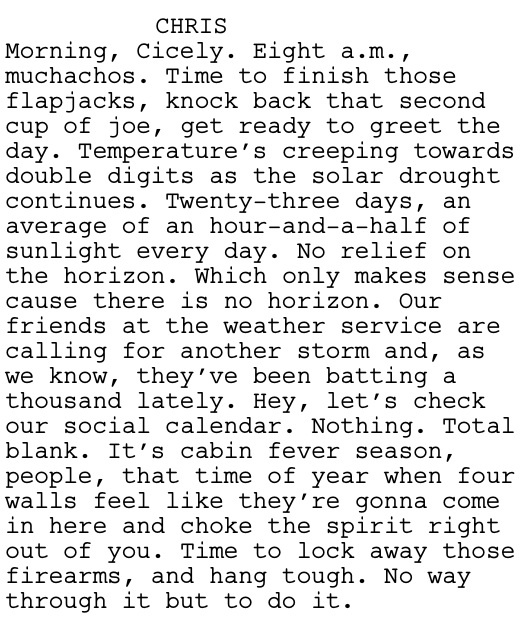 If all else fails, I can thoroughly recommend cosying up with a mug of hot chocolate and an episode or two of Northern Exposure, and immersing yourself in its gentle, intelligent, and utterly beguiling world.